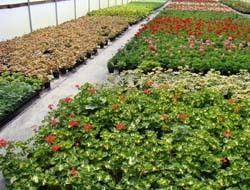 Soon the greenhouses begin to fill with the crops for this year. combination of the marvelous colors like no other. Soon we begin to see color, as the earliest to bloom seem to dominate at first. Too early to ship, but the anticipation grows. They're ready for Mother's Day! 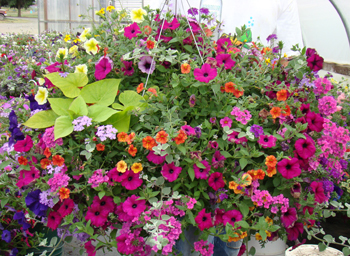 They look good hanging in your retail garden center and perform all summer on your customer's porch or patio. You need to make sure you order these when they are ready. Sign up for our weekly availability. We sell out fast. 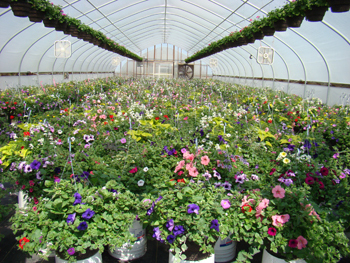 Spring, summer and fall flowers; blooming baskets, herbs and vegetable plants are Trapold Greenhouses specialties. 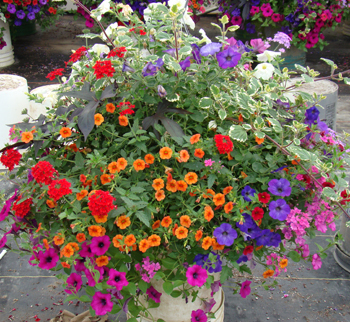 When your retail customers are looking for color, we have the blooming plants to ignite your seasonal sales . Call or email us today.